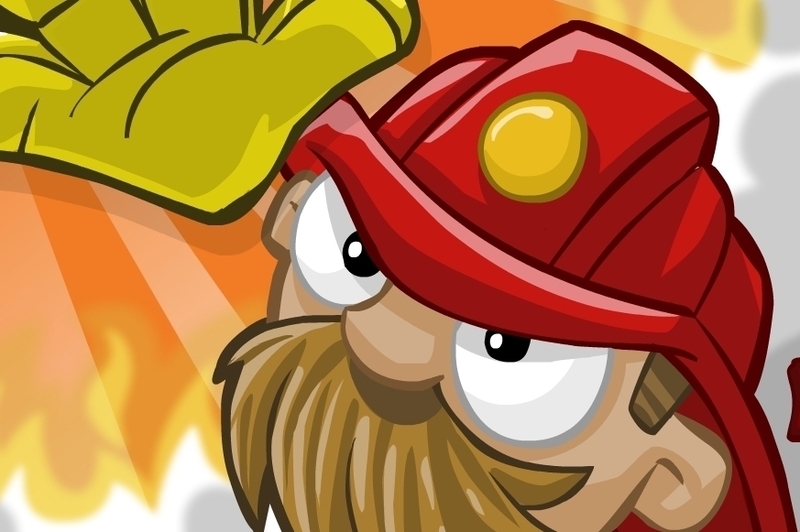 Fire Escape is an endless climbing game built by YoYo Games, utilizing its GameMaker technology. It's a simple game where you guide a legless fireman (and who even knows why he's legless) up a series of pegs as a fire grows beneath him. Along the way, you'll be able to use a variety of power-ups to continue your ascent, including fire axes to break through beams, magnetic pegs that you automatically grapple on to, and more. For a free-to-play game, Fire Escape provides some very good gameplay. You'll need to learn the basics of swinging and moving from peg to peg, but it's pretty enjoyable once you've done so. Being able to bounce off walls is a nice touch too, especially when it comes collecting hard-to-reach coins. The free-to-play system is also fair, even though some items will take a while to unlock if you don't spend money. Finally, the graphics are delightful, and the heroic fireman is fun to watch - even though it's never explained why he's missing his legs! As fun as the gameplay is, it also requires a great deal of precision as you swing around. If your timing's even slightly off, it can easily result in your demise - frustrating for rookie players. Also, some of the levels get diabolically hard as you climb, and include swinging pegs and objects you can't land on. Pop-up ads also come up every once in a while, and can be annoying. Finally, the free-to-play system does require you to fork over a few dollars if you want to access the better in-game items right away. Because of its precision gameplay, not everyone will get into Fire Escape as easily as other free-climbing games, but it's definitely got some appeal behind it, especially in the later levels. Have a swing at it.